Information and communication technologies (ICTs) are multi-faceted. In urban planning, a process where people with a wide range of opinions and perceptions convene to make decisions about their own residential environments, the modes of communication and the technologies used are diverse. Usually, these technologies are roughly divided into soft technologies such as heuristic or tacit knowledge for facilitating communication, and hard technologies in telecommunication such as phones and the internet. 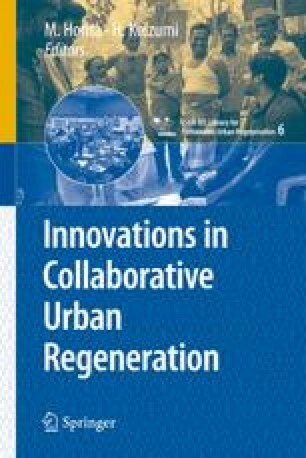 In this chapter, an overview is made of both soft and hard technologies that have been or could readily be applied to the context of urban regeneration, accompanied by examples in Japan and elsewhere.